Obituary for Albert J. Zimmerly Sr. | Charles B. Jarvie Funeral Home, Inc.
Albert J. 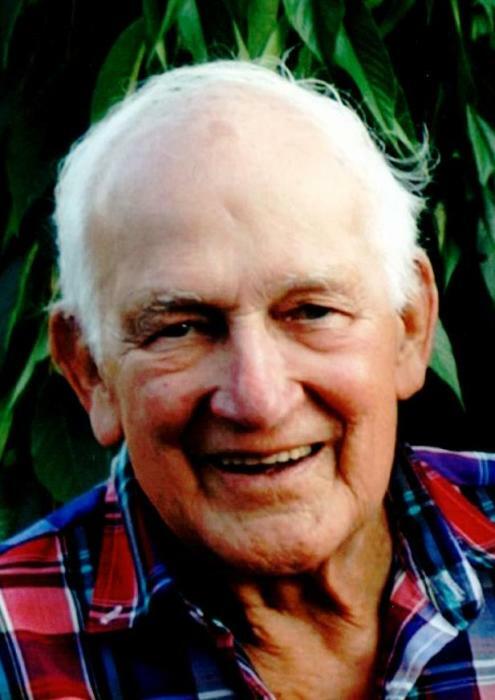 "Bud" Zimmerly Sr., 95, of Springdale Township, passed away Friday, Aug. 31, 2018, at Concordia of Cabot. He was born March 13, 1923, in Springdale, to the late Albert and Hattie Stobert Zimmerly, and had been a lifelong resident. Al was employed at PPG Glass in Creighton for 38 years and was a veteran of World War II, serving in the Navy in the Pacific Theater. He was also a member of the Springdale VFW and was an avid sportsman, enjoying fishing and hunting. His survivors include his wife of 68 years, Gladys Muroski Zimmerly; a son, Albert J. Zimmerly Jr., and a daughter, Sandra (Jack) Davitt, both of Springdale; grandchildren, Sarah (Joel) Gilbertson, JP (Brigette) Davitt, Scott Davitt, Alissa (Justine) Welker; five great-grandchildren, Norah, Grace, Easton, Jack and Ava; and one sister, Jane Weber, of Cheswick. He was preceded in death by his parents; and brothers and sisters. Friends were received Friday evening and will continue to be received from 9 a.m. until service time at 11:45 a.m. Saturday morning, Sept. 1, in THE CHARLES B. JARVIE SPRINGDALE FUNERAL HOME INC., 801 Pittsburgh St. Burial will be private.